Lots of exciting happenings in the sky this weekend. on March 20, resulting in a total solar eclipse. 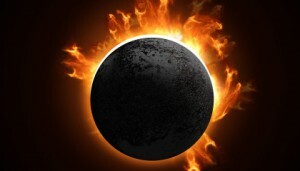 The Spring equinox occurs more than 12 hours after the eclipse ends. which is why we offer GlassWare on the website. 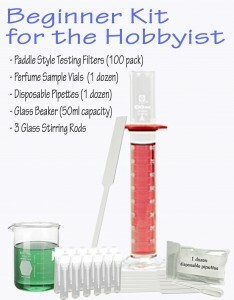 looking for beakers, funnels, stirring rods, etc ..
Its been a very rough Winter Season for some of us around the USA. the heat in the house drying out our skin ..
your skin .. Face, hands, elbows, feet .. all over. 2. then blend your essential oil & rosehip / evening primrose mix and add to the bowl. 3. with either your kitchen aid or hand mixer ..
whip til it is the texture of meringue. Because you are not adding any water you really do not have to worry about bacteria . (Remember Vit E is NOT a preservative). tapping on a cushioned pad to pack down and to get the air out. Pamper your body and get ready for Spring. And so, another season is coming to an end ..
isn’t it funny how by the end of a Season ..
we are ready to see it go. the herbal beds, and flower beds, to be created .. There is so much to discover here ..
Life is full and Spring is bursting with New Life, New Beginnings ..
It’s the last day of 2012 ~ looking back on the year and letting go of the bad .. embracing the good and looking forward to the future ! of Shea Butter for her Dad ..
Testimonial for the shea butter. My 87 year old father suffers from Chronic Venous Insufficiency. This condition can cause a breakdown of the skin tissue. He had several areas on both his legs where this happened. The skin was open and there was a watery discharge oozing from them. Not a pretty sight. The vascular specialist was treating him with leg compression wraps – with little improvement. After several months a consulting physician recommended using shea butter to aid in the healing of the skin. Twice a week, when the compression wraps are removed, his legs are slathered with the shea butter and massaged into the skin. The results were amazing. The skin began to heal and has become supple. He has less pain now that the skin is not as taut and his doctor expects him to be free of the banding wraps in another week or so. Your shea butter is amazing. Thank you so much for carrying such an exceptional product. ‘In every walk with nature ..
Tis the Season ~ of falling leaves, pumkins, hot apple cider.! ‘Autumn is a second spring ..
Acorns: Symbol of patience, wildlife forage, weather predictor, lawn nuisance, and–food! Yes, ACORNS to eat! Once used in baking by Native Americans and still used in some cultures, nutritious acorns can be prepared for cooking (with a little patience). See how to prepare–and a recipe for acorn pancakes. At one of the shows at the Javits Center I fell in love with the Tea Cozy ‘s and Bodum Teapot & Teas. Our AromaStone Electronic Diffuser in Cobalt Blue is back in stock.!! Let’s not forget about your skin !! Do you know it is Woodstock’s 40 Anniversary.!! Country Joe & the Fish, Jefferson Star Ship ..
weekend to attend the concert .. Pictures Sheila.!! An informed consumer is the best revenge. The things they do to our foods. Better known as ‘frankinfoods’ .. the new technology is called ‘Nanotechnology’ … billions of dollars will be spent ..
You know .. I do believe Mother Nature should NOT be messed with .. to read more about what is coming to your food shelves ..
Fortified & Functionalized, Soon to be Nano-fied? Wishing you all a relaxing and peaceful end of summer.! Welcome to week 7 of the herbal blog contest! This week we are featuring Aquarian Bath your source for all natural gentle soaps, herbal balms, salves, deodorants, and spa pillows. Aquarian Bath’s soaps, balms and salves are either unscented or lightly scented with only pure essential oils. This week, enter to win you choice of a Lavender Spearmint Lip balm in a 0.15 oz tube OR a Lemon Lime Lip Balm in a 0.25 oz slide tin, and 20% off on your next order with Aquarian Bath. The Lavender Spearmint Balm is made with Extra virgin olive oil, Shea butter, Beeswax, Castor oil, Spearmint and Lavender essential oil. The Lemon Lime lip balm is made with Coconut oil, Shea Butter, Castor oil, Beeswax, Jojoba, Lime and Lemon Essential oils, and Zinc Oxide, a mineral used in sunscreens. * Tweet about this blog contest on twitter.com including @aquarianbath in the tweet. Come back and log your tweet with a comment to receive 1 additional entry. * Visit and join Aquarian Bath’s fan page on Facebook. Leave a comment so we know you joined to receive 1 additional entry. * Make a comment about your favorite item from Aquarian Bath’s etsy or 1000markets stores to receive 1 additional entry. * Make a purchase with Aquarian bath to on etsy or 1000markets to receive 3 additional entries. *The following blogs are also participating, so stop over to enter with them for additional chances to win AND the chance to explore some cool blogs. One lucky winner from one of the 10 host blogs will be contacted to receive 2 free soaps of their choice along with their lip balm and 20% off coupon, so be sure to visit and enter at all 10 blogs. The winners will be announced at the Aquarian Bath blog when the results are in from all participating blogs. Enjoy. Keep coming back and keep entering. We have some great prizes coming up, and we’ll be having the contests until the middle of May! Remember to share this with friends and family as well.